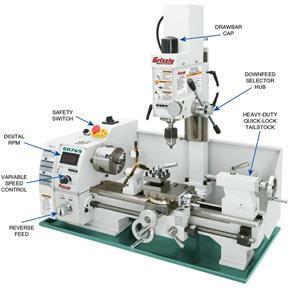 This Lathe/Mill combination unit is an excellent choice for those who want to machine small parts—without having to dedicate a large amount of shop space or spend thousands of dollars to get started. 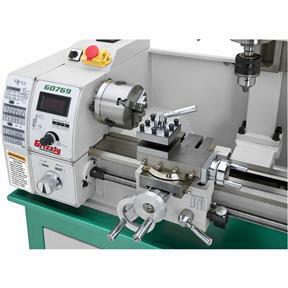 Includes the G0768 Variable-Speed Lathe, including everything that comes with it, and an additional Variable-Speed Milling Head. Mount it directly to your sturdy workbench, or put it on the T26599 Optional Stand and store all of your tooling and accessories directly within reach. 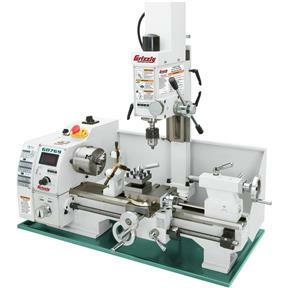 Max spindle distance to: work table 9-7/8", bed 11-1/2", lathe centerline 7-3/4"
Head tilt: Left and right 45 deg. Approx. shipping weight: 287 lbs. 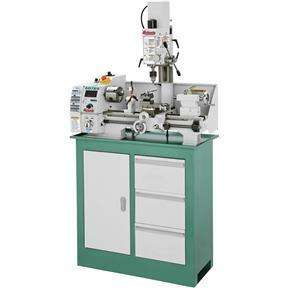 I purchased this model because I wanted a combination lathe/mill and wanted a little more capacity and more horsepower than the basic Sig unit. Overall a good package, well finished and sufficient size for smaller home type projects. The smaller footprint tucks into an unused corner of my workbench. First project was to make a larger base attaching to the mill head table to accommodate a variety of vises. 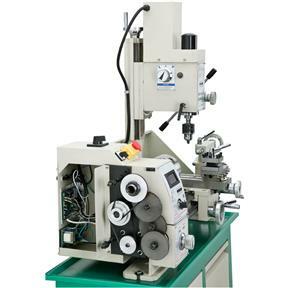 This is my first machine and and it works for me! Oh for a larger shop.